One can’t say that that the music Broken Bells’ debut album is one-dimensional. On the contrary, it’s very eclectic with its fusion of folk, hip-hop, funk, electronic and avant garde influences. A partnership between Danger Mouse’s Brian Burton and the Shins’ James Mercer, Broken Bells harkens some of the sounds of other artists on a few particular tracks: the folk-hip-hop amalgam “The High Road” is reminiscent of Everlast; “Sailing to Nowhere,” with its lush orchestration, borders on the art rock that Radiohead has been known for; and even the funkly standout “The Ghost Inside” is a far-removed cousin to “Crazy” by Gnarls Barkley (Burton’s other famous project). The Zen-like lyrics and Mercer’s distant vocals add to the music’s hazy and trippy quality, especially on the stately and ethereal “Citizen”; and there are even flourishes of New Wave on the last two tracks. 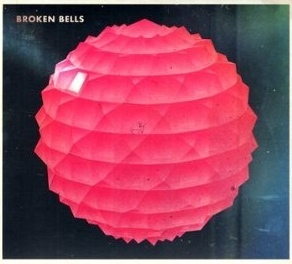 Yet despite some obvious influences, Broken Bells the album is unique for the way all those divergent sounds are put together as a whole.